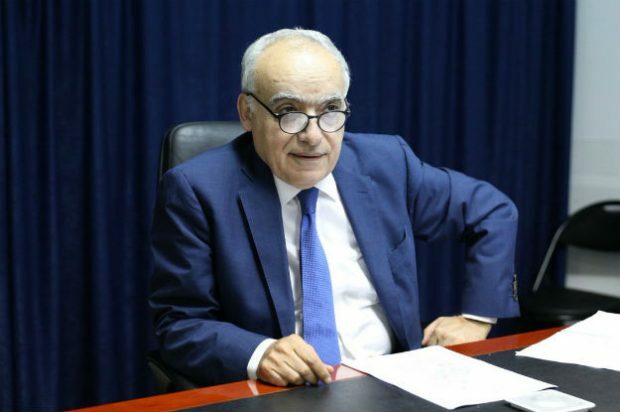 The UN envoy to Libya Ghassan Salamé has expressed his growing concerns over the war situation in Libya particularly the battle for the capital Tripoli which is escalating and claiming more lives. Mr Salamé described the current situation as a military stalemate in an interview with BBC Radio on Monday. He said both sides in this battle for Tripoli were now mobilising resources and both still believed they could win militarily. He remarked that Haftar is not necessarily leading a counterterrorism fighting in Tripoli, rather he is trying to control the capital and it seems that he is running a coup, which is clear by his arrest warrant issued against the Head of the Presidential Council Fayez Al-Sirraj. Salamé said his worst fear now was that foreign powers may become directly involved with more advanced weaponry. The human cost of this conflict is also mounting. Salamé said that, so far, fighting was not focused on residential areas of the capital, but if this escalation continues, casualties would be, in his words, of “a completely different magnitude” in the city where nearly a third of Libya’s population lives. The UN says that in the last 10 days of fighting, more than 130 people were killed, more than 600 were injured, and thousands have been displaced.